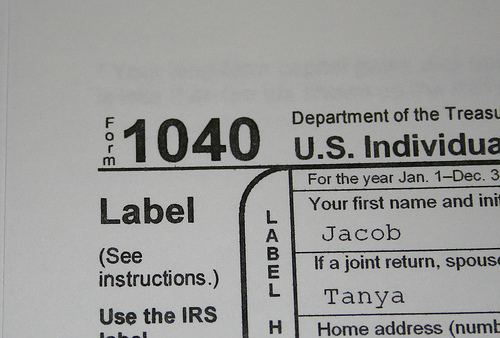 The 2011 tax deadline is still four months away, so you still get plenty of time to prepare your 2010 returns. Whether you will do the taxes yourself or heir somebody else to do the job for you, here’s an offer from PerkStreet that could reduce the burden off your wallet a little bit. From now to April 30th, you can use your PerkStreet debit card to pay for your tax prep service and earn 5% cash back for the amount you charge. You can earn the cash back at H&R Block, Jackson Hewitt, Liberty Tax Service and TurboTax online which also let you file your federal tax for free. If you are not familiar with PerkStreet Rewards Checking Account and its debit card, check out my previous PerkStreet review post for more details. Basically, you can up to 5% rewards when shopping in certain categories and up to 2% on others. Resisting Social Pressure: “One should do what they want and not worry about naysayers” isn’t always that easy. How to Lose 100 Pounds: A long list of tips for losing some weight in the new year, including “You will never lose weight because someone tells you to”. 5 Lessons Dave Ramsey Taught Me About Healthy Living: Even for those who never read a book from Dave Ramsey (I am one of those), there are a few things you can learn from him. Should You Repair or Replace Your Old Car? : If it costs more to repair the car than what it is worth, then maybe it’s better to get a new one. What do you think? Credit Sesame: Free Credit Scores & Debt Management: Another free credit score? I need to check it out. Investing in Tax Lien Certificates and Tax Deeds: I wonder what kind of return I will get from such investments. Seek Debt Assistance or Deal with Your Own Debt? : How about not get into debt in the first place? Then there won’t be this kind of debate any more.